Handcrafted and plated miniature food dessert made from polymer clay. Plate is made from ceramic clay. * Due to the handmade nature of these products, sizes and styles may vary slightly from picture. 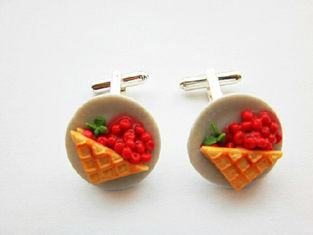 Part of the miniature polymer clay food range.